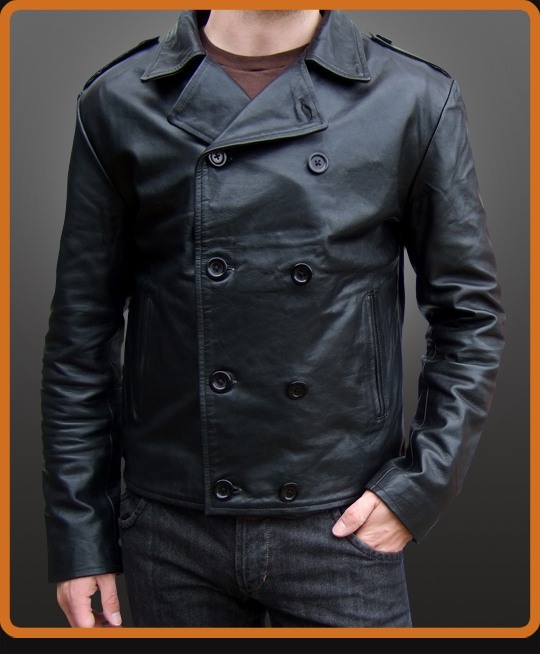 Double breasted military style leather jacket with shoulder epaulettes. Curved rear hemline. 1.2mm motorcycle leather with armor protection.